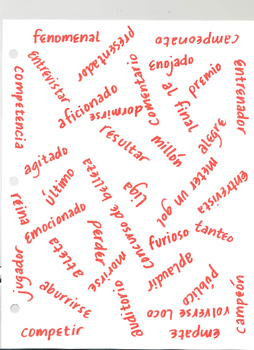 This is a PDF of a game board (size of a standard piece of printer paper) that you can use to help your students review the vocabulary from Realidades 2, Chapter 6A (sporting events, competitions, and contests vocab). I call it the Crossout Game, and my students love it! You'll need to make half as many copies as there are students (they play in pairs).